Forget all that bigger is better stuff. 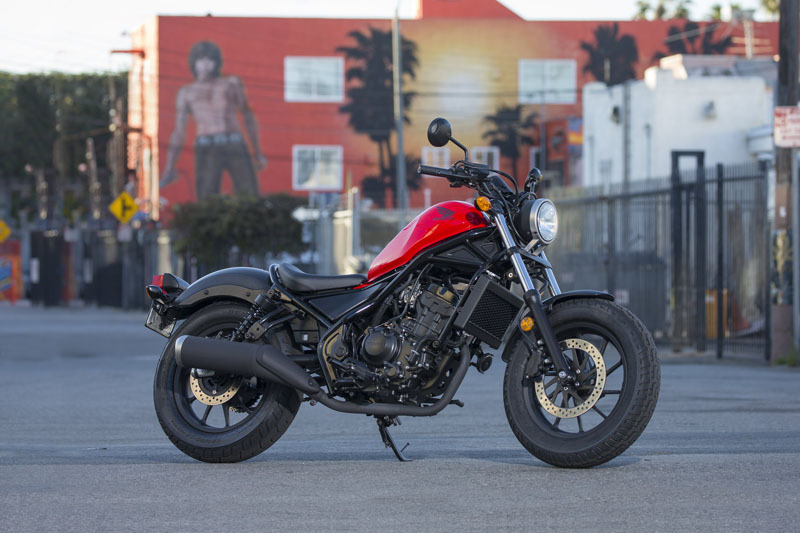 Sometimes light and nimble is the way to go—and that’s what we’re talking about with a Honda Rebel 300. Light, nimble—and awesome. 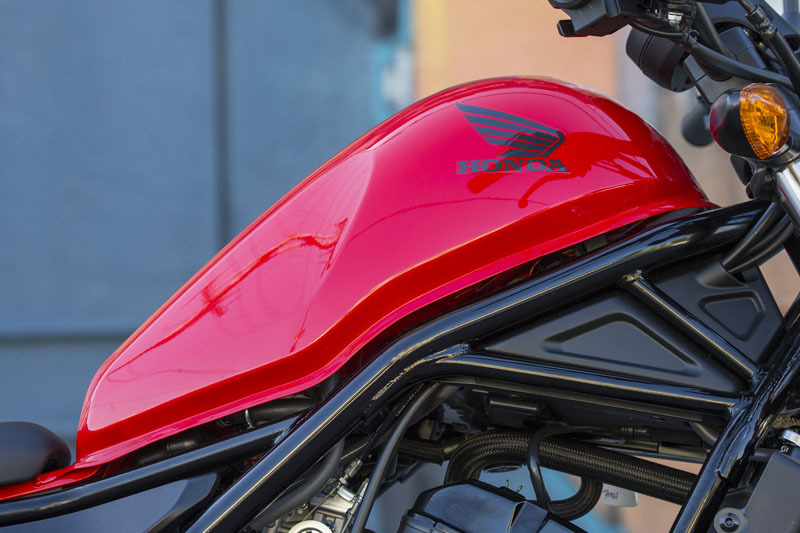 Because a Rebel 300 embraces all the parts of motorcycling that we love. It’s minimal, but turns that minimalism into a free sense of style. 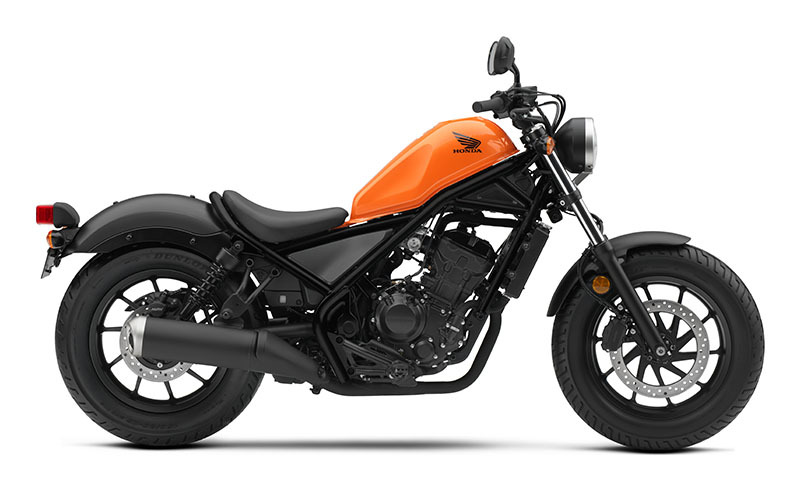 Designed for riders of all skill levels, it rocks a sporty, narrow single-cylinder engine. Its blacked-out touches let you use it like a blank canvas, so you can customize it to make it your own. The low seat, plus great color options this year—who doesn’t love that? Do more with less, but do it better. The Rebel 300 is ready. 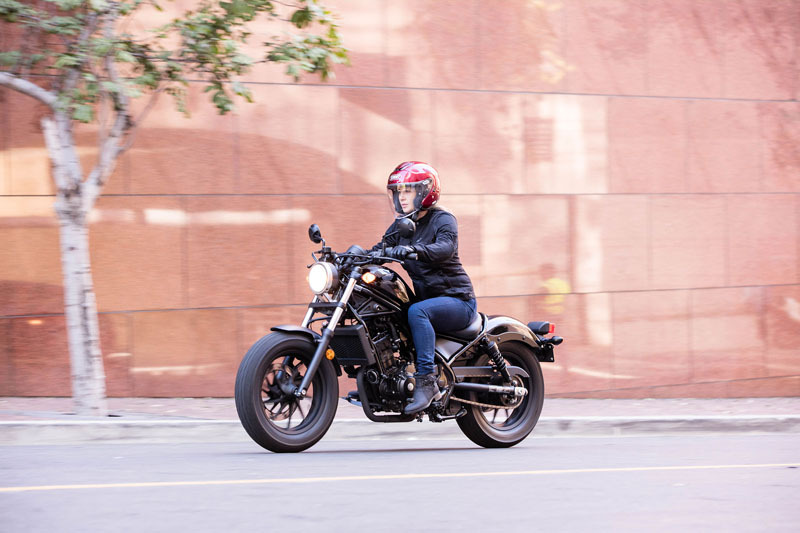 LIGHT WEIGHT: Weighing just 364 pounds with a full tank of fuel, the Rebel 300 is a lot more fun and friendly to ride than some bigger machines—perfect if you’re just getting started, or if you’re looking for a nimble bike. The light overall weight helps performance, too. SPORTY ENGINE: Hondas are famous for their engines, and we’ve given the Rebel 300 a great one. First, the facts: it’s a single-cylinder with fuel injection, double-overhead cams and a counterbalancer. Because it’s a single, it’s light and super narrow, which helps reduce the overall bike’s weight. It also offers the kind of torque and midrange power that’s well suited for all levels of riders. COLOR CHOICES: Ready for some awesome color choices for 2019? 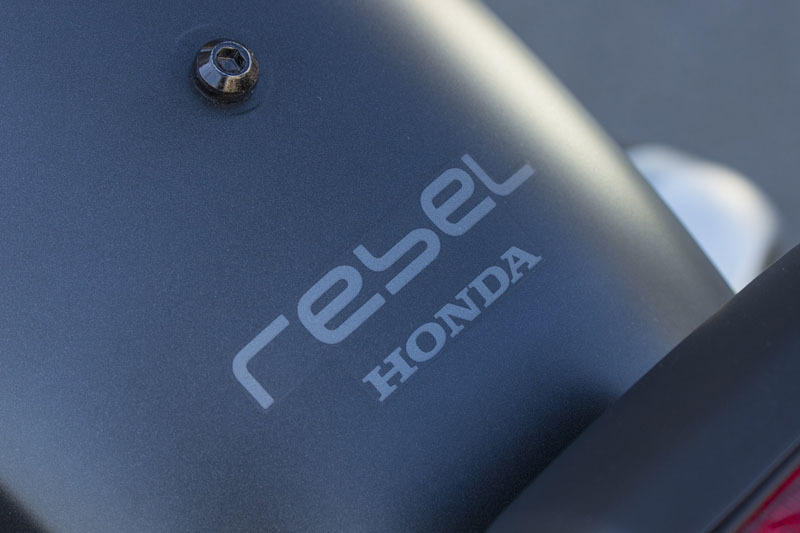 Check out what you can be riding: in addition to great existing colors, the Rebel 300 is available in Matte Gray Metallic, Pearl Gray, and Candy Orange. GLASS-LENS HEADLIGHT: Another critical item in motorcycle design is the headlight. 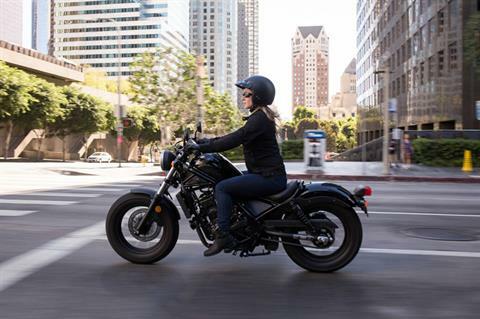 With the Rebel you get the best of both worlds. 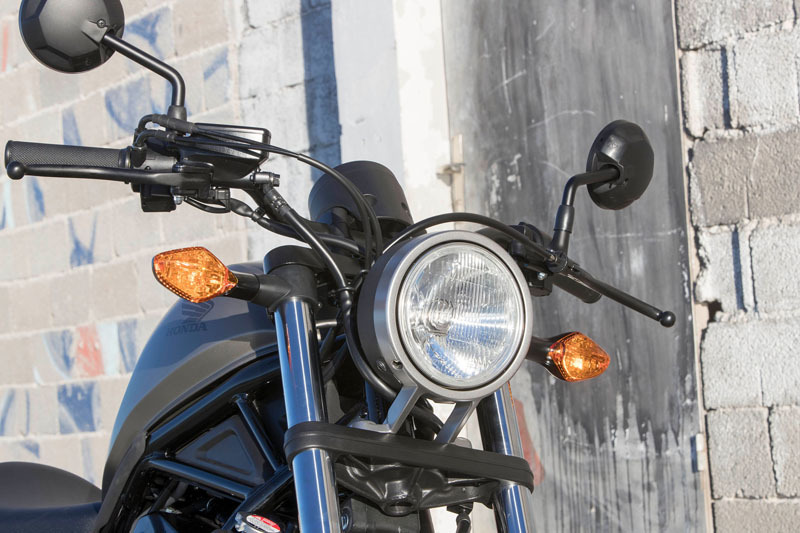 The lamp is bright and precise, while the round nacelle shape, aluminum cast headlight mount and glass lens give the Rebel a character that exudes class.